Ending DACA is cruel and devastating for our community, but at BakerRipley we’re working around the clock to assist our neighbors. We see Dreamers every day in our community centers and neighborhoods. Young people eager to earn, learn and belong. We see them work hard and land a job. We see them belong and give back to the city. Dreamers are our friends, our co-workers and our neighbors. Here in Harris County there are 40,000 DACA eligible immigrants. We held information sessions at three of our centers and have set-up a hotline. Our goal is to support DACA recipients with renewing their work permits before the October 5th deadline. All this services will be provided free of cost on a walk-in basis. 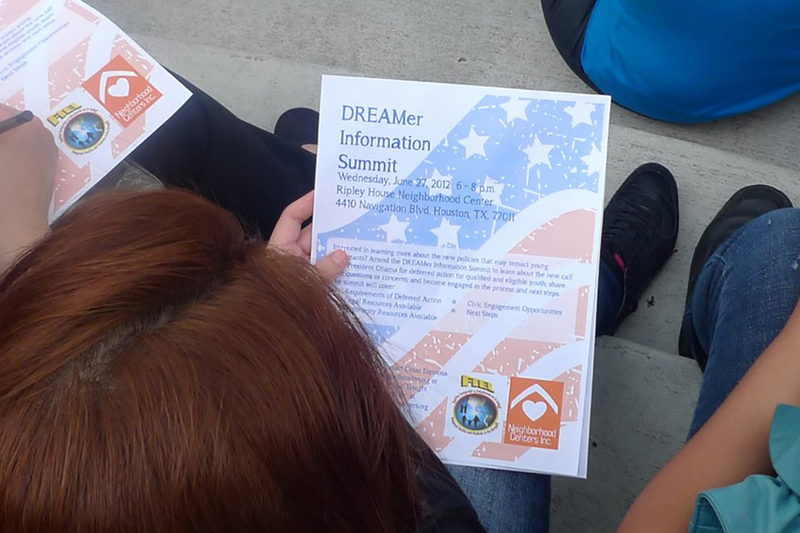 Tuesday & Thursday, 9:30 a.m. – 4:30 p.m.
Dreamers are not a problem; they are a solution. We will work alongside them and fight for their rights. At BakerRipley we are committed to keeping Houston a place of opportunity for everyone and that’s what we set to do every day. If you’d like more information you can find it in English and Spanish, and call our hotline for any questions at 713-273-3707.